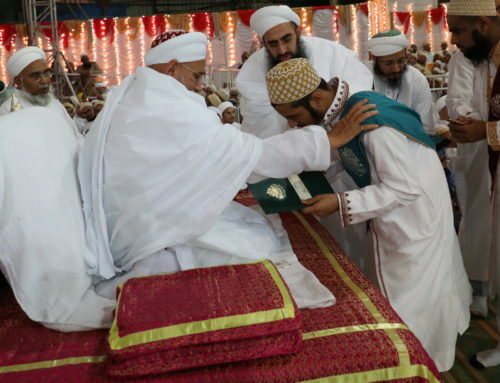 From ʿĀmils, representatives of His Holiness Dr Syedna Mufaddal Saifuddin, that serve and lead local congregations, to Muʿallims, head teachers of local community schools; almost every position of service and leadership in the Dawoodi Bohra community is held by graduates of Aljamea-tus-Saifiyah. 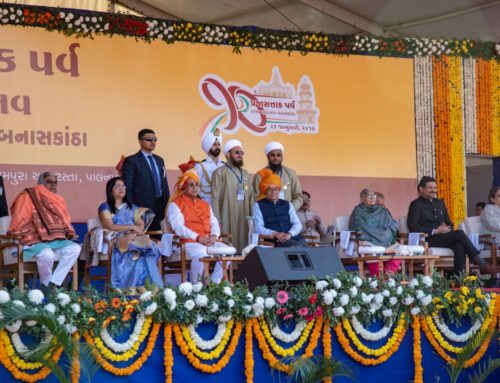 As part of what is now becoming an annual tradition, thousands of such community officials and graduates of the Academy gathered for a seven-day istifāda ʿilmiyyah event in Surat, India, the location of the Academy’s first and foremost campus. 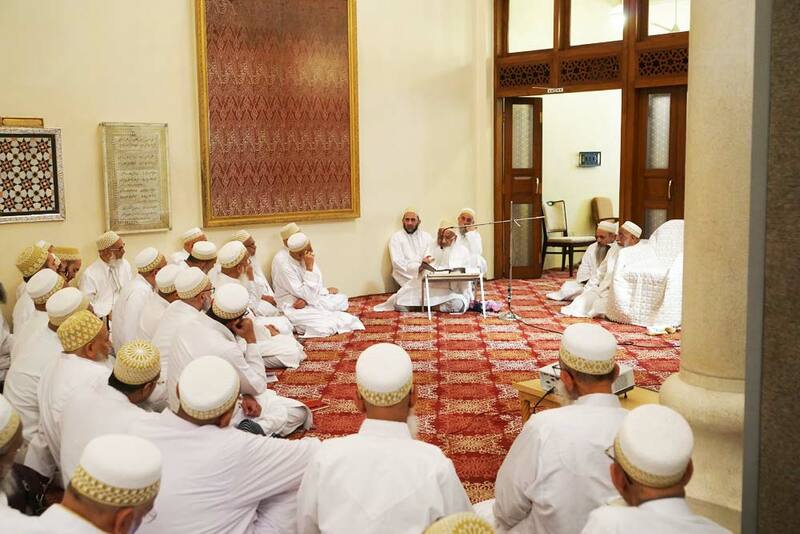 The istifāda ʿilmiya refers to a series of lectures conducted by scholars from His Holiness’ family and professors of the Academy. Participants partake in asbāq (pl. of sabaq, a traditional class format similar to the halqa) all through the day, in addition to attending workshops and seminars on a wide range of contemporary topics that affect Dawat, the community and the Muslim world at large. 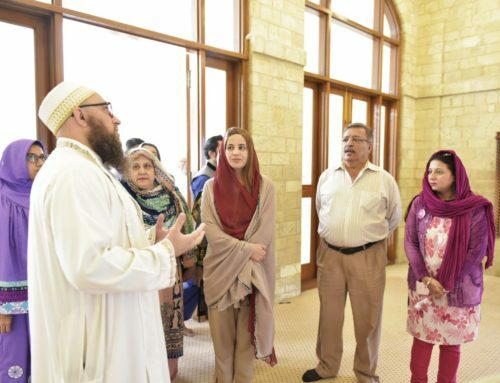 An eagerly anticipated homecoming for multiple generations of graduates, the istifāda fosters an exchange of ideas across a diverse demographic. 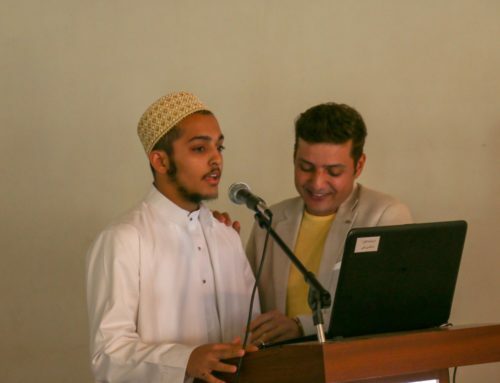 The nostalgic expressions across the faces of participants as they reminisce with batch mates and roommates is a common sight across the various asbāq venues spread throughout the campus. Although last year was the first time this programme was conducted, this year saw a greater interest with the total count of participants exceeding 3000. Strenuous days of study are mellowed by fun evening sessions of casual games and other physical activities in Aljamea’s vast sports ground a seven-minute walk from the central campus. Known as Khaima al-Riyāḍa, the sports ground was also the venue for meals for all attendees. Echoing the motives of the recent Upliftment Drive where khidmat guzār (a Persian word used commonly in Dawat parlance for individuals who take up various forms of voluntary community service) enthusiastically endeavoured to better the living and intellectual standards of community members worldwide, the isitifāda ʿilmiya is an opportunity for them to look inward and strive for the elevation of the self.